Tom and Char Dubridge of Sand Lake travelled to many parts of Colorado and Utah earlier this month. This picture was taken at Glen Canyon, Lake Powell, Utah. 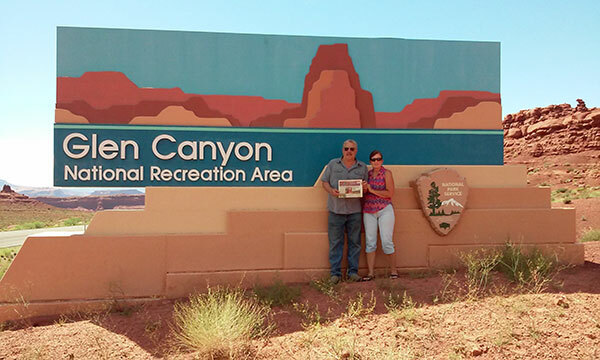 Tom and Char Dubridge of Sand Lake travelled to many parts of Colorado and Utah earlier this month. This picture was taken at Glen Canyon, Lake Powell, Utah. They also visited their daughter, Sherri Innis, in Vail, Colorado, and relatives in Grand Junction Colorado, and a brother in Ticaboo, Utah. Thanks, Tom and Char, for taking us with you!